One reason we should care about biodiversity is that it might be the solution to our environmental impact: after 3.8 billion years on planet Earth, Nature certainly has some sustainability and resilience lessons to teach us—that is, before it gets driven mostly to extinction. Will we care to listen? It is at the city- or territory-level that we can transform cities into life-regenerative ecosystems. As Janine Benyus said in the late 1990s: “Life creates conditions conducive to more life”. How does Nature do that? In the biomimetic design approach she has developed over the last 20 years, Benyus identifies the first important step in extrapolating from Earth’s operating conditions to living systems strategies and characteristics to innovating within the frame of “Life’s Principles”. 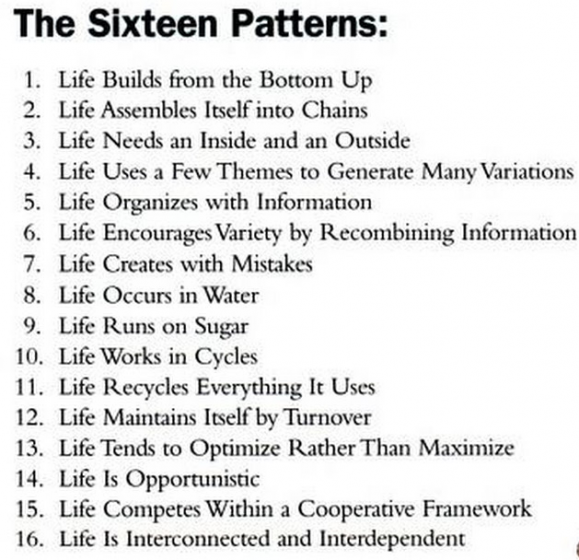 Such principles are not new, and other approaches like them have been developed before, such as the 16 Principles of Life compiled by the biologist Mahlon Bush Hoagland [I]. Thus far, biomimicry has gained recognition via famous inventions such as the nose of the Japanese speed train Sinkansen, which took its shape from the nozzle of the Kingfisher bird [ii]; or the Lotusan paint that never gets dirty because of its hydrophobic surface, inspired by the nanostructure of the Lotus leaf surface [iii]; and many more [iv]. In the field of architecture, bio-inspiration is not new; even the Eiffel Tower (1889) was indirectly inspired by the works of Hermann von Meyer (1801–1869), a famous German paleontologist. Von Meyer was studying the structure of bones, particularly the human femur, which can resist a vertical load of 1 ton before breaking. As the story goes, Karl Culmann (1821–1881), a Swiss engineer who visited von Meyer in 1866 and was busy inventing a new type of crane for very heavy loads, immediately noticed that the trabecular structure of the femur followed the lines of force and cried out: “Here’s my crane!” He thereafter theorized his findings, which came to be known by Gustave Eiffel (1832–1923). Many other famous architects, such as Antonio Gaudi (1852–1926), Buckminster Fuller (1895–1983), and Frei Otto (1925–2015) have pioneered the study of natural shapes and geometries to invent new types of buildings, including the Sagrada Familia in Barcelona, the invention of the geodesic dome, and the Münich Olympic Stadium from 1972, respectively. In 1957, Frei Otto founded a research center in Berlin, which has since moved to the University of Stuttgart and currently operate as the “Institut für Leichtbau Entwerfen und Konstruieren” (Institute of Building Structures and Structural Design). This research center has continued research themes that Otto explored in his work from 1984 to 1995 (titled “Natural constructions–Light structures in Architecture and Nature”). Today, the center is part of a collaborative, multi-institutional, multidisciplinary research program called “Biological Design and Integrative Structures”, which is conducting impressive scientific and technical work on new bio-inspired materials. 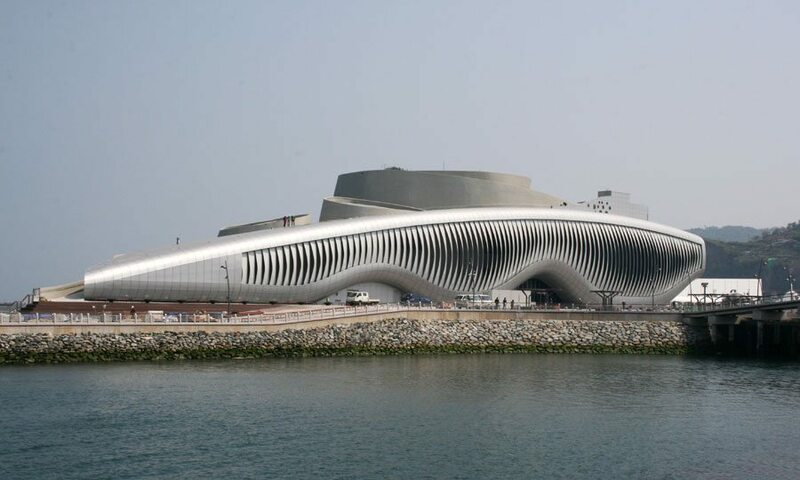 Several examples include functionally graded concrete inspired by trabecular structures [v], developed under the lead of Werner Sobek; facade components such as the Flectofin louver system [vi] inspired by the flower, Strelitizia reginae [vii]; and, globally, the analysis of natural movement principles found in the flora world, which also inspired the design of the German Pavilion kinematic façade in South Korea in 2012 [viii]. 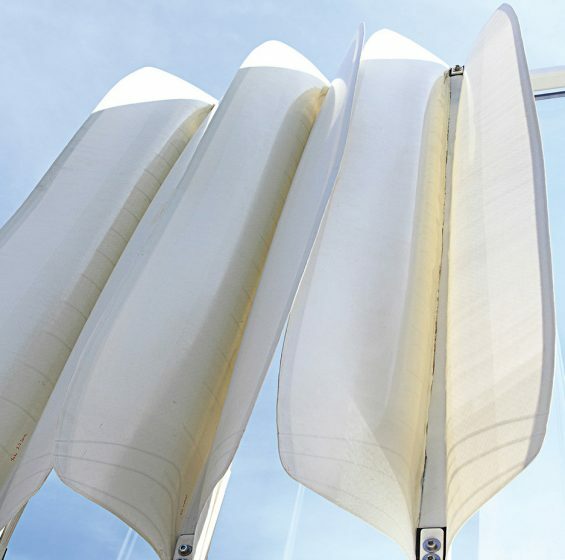 The The hingeless, flapping louver system Flectofin (top), inspired by the Bird of Paradise Flower (bottom) is now under development. 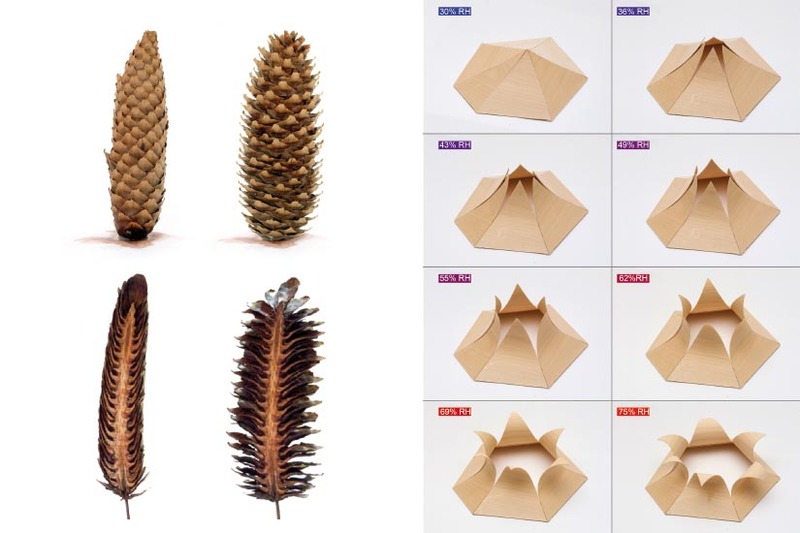 Likewise, the Institute for Computational Design, headed by Achim Menges, has come up with highly performative and beautiful envelope solutions inspired by natural organisms [ix]. For example, in Menges’ Hygroskin—Meteorosensitive pavilion [x], humidity-responsive wood composites, directly derived from the nanometric analysis of spruce cones, open or close themselves according to the ambient air humidity, without any sensors, engines, actuators, or energy. Having poured millions of euros over decades into bio-inspired research and design, Germany is the most advanced country in this field of research: they are already delivering market applications. Still, my opinion is that most of these inventions—as scientifically and technically robust as they are; as economically promising [xi] as they appear; and as fascinating and often beautiful as they may be, do not seem to tap deeply enough into Life’s Principles, as Benyus or Hoagland depicted them. 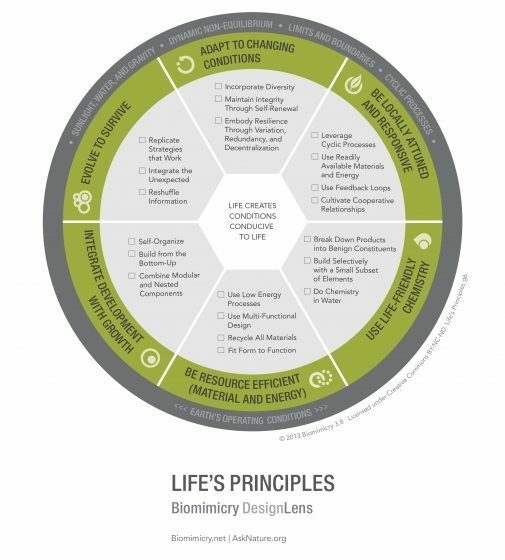 Too often, they miss the main point of biomimicry, which is to invent life-compatible, and even life-regenerative, innovations—in the broadest meaning of “Life”. and finally, they are mainly focused on maximizing components’ performances (such as load bearing, energy efficiency, and kinematics), without looking at the overall system optimization, especially towards environmental criteria, using tools such as Carbon Footprint, System Life Cycle Analysis or Global Environmental Footprint Assessment. HygroSkin, Meteorosensitive Pavilion in Stadtgarten, Stuttgart. 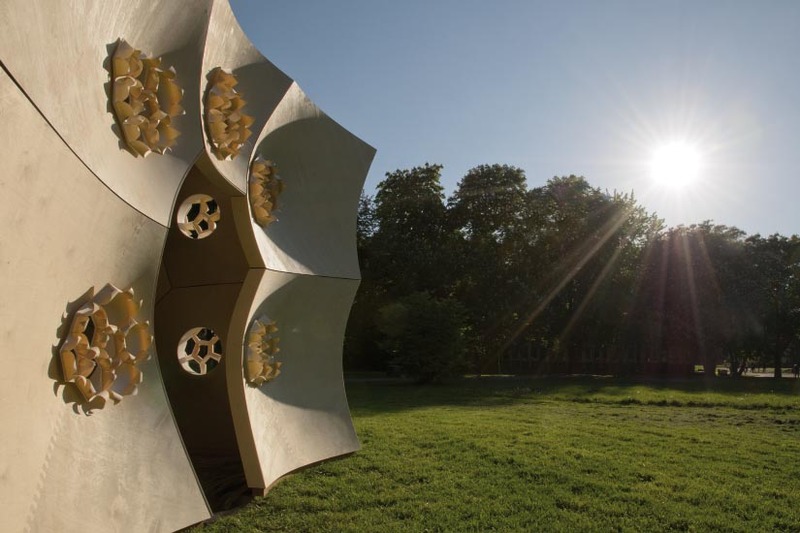 Images: Achim Menges, in collaboration with Oliver David Krieg and Steffen Reichert. 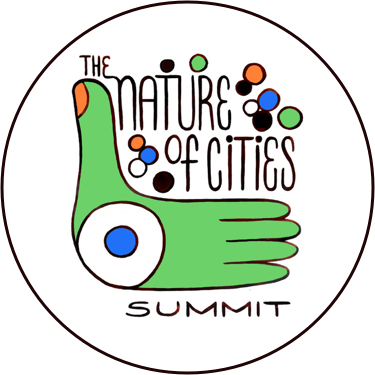 The good news—especially at TNOC, where cities are the main focus—is that it is precisely at the city- or territory-level that the fundamental “principles and rules of Life” could have their most valuable applications: transforming cities into life-regenerative ecosystems, and reconnecting those ecosystems to the broader natural ones. HO+K, the global design, architecture, engineering, and planning firm founded in St. Louis in 1955, starting collaborating with the Biomimicry Guild (today Biomimicry 3.8) of Janine Benyus in 2001, before forging a formal alliance in 2008. Working together on the planning and design for the new city of Lavasa in India, they developed the Fully Integrated Thinking (or FIT) process for innovation [xii], helping integrate Life’s Principles into the full range of the design cycle. Taryn Mead, initiator of the FIT project at HO+K, and Dayna Baumeister, from The Biomimicry Guild, identified 40 different functions a city must perform, from collecting, storing, filtering, and distributing water to generating and distributing energy, and conducted extensive research into biological models for each of theses functions. “FIT helps turn design challenges into opportunities for better solutions that go beyond ‘doing less bad’ to making a positive impact in multiple areas. The Life’s Principles encourage us to view our designs as part of the complex and adaptive systems of a specific location. 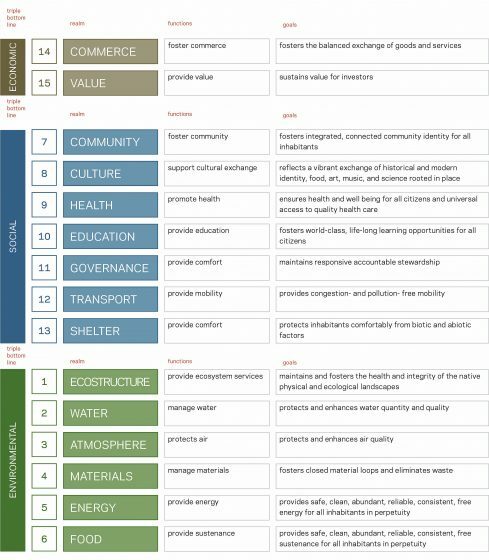 The FIT matrix can reveal the latent potential of ‘place’, including site selection, available ecological services, potential partners and opportunities for new industries,” Mead explains in a 2011 CBID article [xiii]. To systematically tap into the latent potential of place, the FIT process was quickly followed in 2013 by another tool: the Genius of Biome [xiv]. The Genius of Biome report can be viewed for free on Issuu, in the hope that its accessibility will “encourage designers, architects and planners to begin integrating nature’s innovations into the design of buildings, communities and cities”. 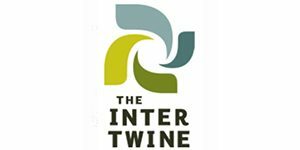 The aim of FIT and Genius of Biome is to help designers conceive a built environment that is “restorative and resilient and that works with nature”, a goal shared with another American initiative from the International Living Future Institute: the Living Product, Building and Community Challenges. Thereafter, they progressively developed the LBC along 7 “petals” (Place, Water, Energy, Health and Happiness, Materials, Equity and Beauty) and 20 imperatives, from “net positive water buildings” to “biophilic environment”, through which to design and build buildings that would be “Socially Just, Culturally Rich and Ecologically Restorative”. 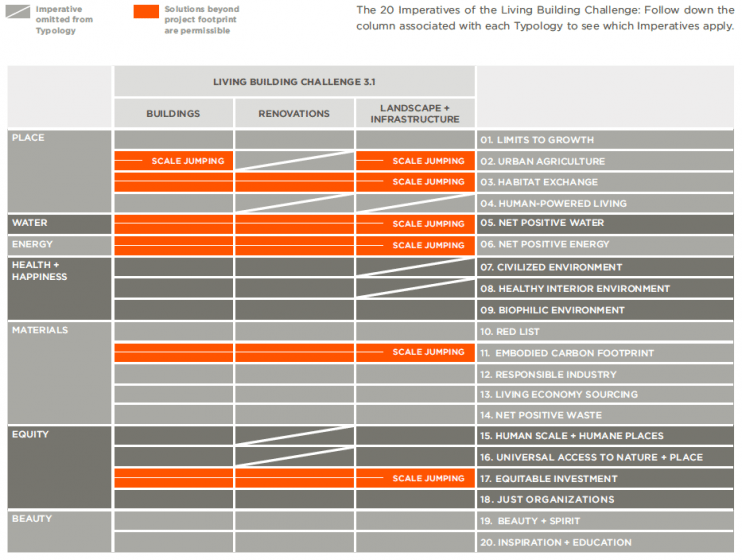 The certification process for Living Buildings is based on actual performances and measures during at least 12 months. As of April 2016, 331 LBC projects had been registered, and 33 had been certified. One of the first certified projects was the headquarters of the International Living Future Institute, itself, at the Bullitt Center in Seattle. Its characteristics, which you can read about on its case study page here, along with many other case studies, make it one of the most ecological buildings in the world: it includes recycled and reused materials from the site’s previous building, it is the first system in Washington State with onsite potable/waste- and greywater collection and treatment, it has increased floor-to-floor heights in order to increase interior daylighting, and an “irresistible” stair that “encourages occupants to incorporate exercise into their daily routine in exchange for incredible views of the city skyline and Olympic Mountains beyond”, drastically reducing people’s desire to take the elevator. The building has become famous for its solar roof, which makes the Bullitt Center a Net Zero Positive building despite its total photovoltaic panels’ area, which—thanks to the energy savings achieved through the rest of the design of the building—is only one-third the size of what the Seattle Energy Code requires for a six-floor office building. The University of Washington’s Integrated Design Lab studied the building’s performances and costs in 2013, showing that the building actually over-performed its forecasted energy balance. The Ecotrust case study of the Bullit Center showed that the 25 percent extra spent in construction costs—compared to those projected for a class A office building—did include the PV energy system, the water collection and treatment system, and the solid waste treatment system, costs that were not originally included in the class A office building budget and usually comprised the capital expenditures supported by the community or energy providers. The Ecotrust research further showed that The Bullitt Center produces meaningful direct benefits (or avoided impacts) for over two-thirds of the 22 ecosystem services classified by the United Nations in “The Economics of Ecosystems and Biodiversity study”. The Ecotrust study estimated that the “hidden” value created over a 250-year lifecycle of the building at $18,450,000 compared to its $7.5 million extra construction cost produced better environmental performances. In her thesis, Pedersen Zari devises a thorough framework for the use of ecosystem biomimicry at the process level, suggesting it “could be a way to give order and coherence to the myriad of [sic] methods used in the creation of sustainable architecture. This is because process level biomimicry is not prescriptive of specific technologies or design techniques, or strategies. Rather it provides goals regarding how built environments should work at an overall level of organisation.” (Pedersen Zari, 2012). She also notes that, although widely advocated in biomimicry, industrial ecology, and related fields—and as potentially powerful as it might become—mimicking the processes of ecosystems is not widespread and “may be complicated both to understand and use in a design context…because of the large amount of complex ecological information that has to be understood to do this meaningfully (Kibert 2006)”. Given these limitations, Pedersen Zari rather focuses the main chapter of her thesis on mimicking ecosystemic functions and services for regenerative urban built environments. Following McGranahan et al. 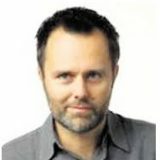 (2005), who say that, “even in a stable world, no city or urban region as presently configured could be sustainable on its own”, Pedersen Zari’s position is that “if the built environment can provide some of its own services, pressure is potentially decreased on local and distant ecosystems. This means these may be able to become healthier, or regenerate if they are currently degraded, and therefore be able to support more species. Healthier ecosystems more readily provide ecosystem services to humans that cannot be provided by the built environment and therefore enable humans to be better able to adapt to the impending impacts of climate change” (MEA, 2005b). 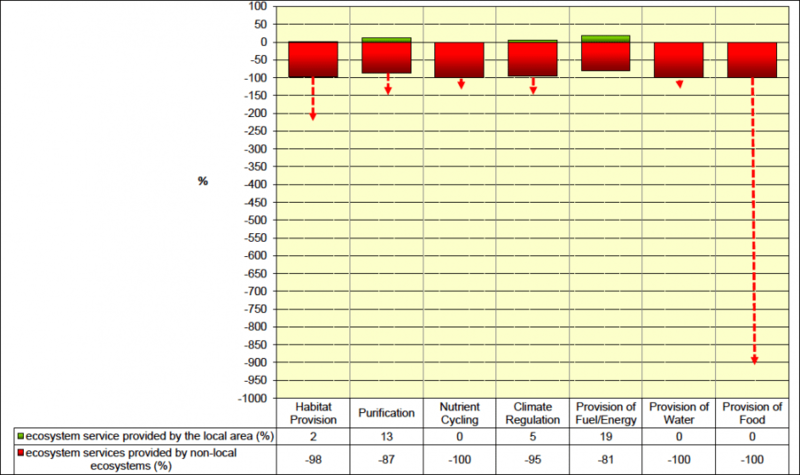 By applying her methodology on the area of Wellington, Pedersen Zari shows that all seven ecosystem services could be provided at 100 percent locally by “ecomimetic” engineered solutions in a potential future Wellington (except for nutrient cycling, which could be provided at a level of 80 percent), compared to almost the opposite today. Dr. Pedersen Zari’s thesis is a must-read for all sustainable building and city professionals. 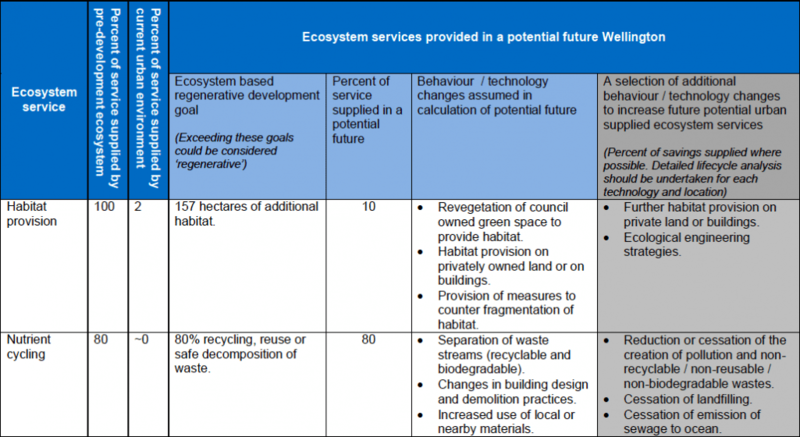 It continues Professor Janis Birkeland’s work on design for “eco-services” by giving a practicable framework for design teams based on pre-development/current/potential ecosystem services analysis. 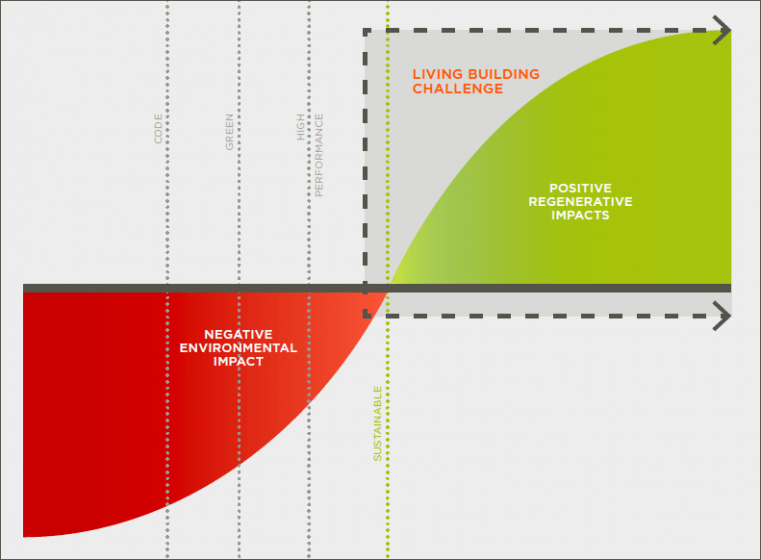 It goes one step further than the Living Building / Community Challenge by giving a scientific basis for environmental performance goals and design imperatives. We’ve seen the real potential of biomimicry for sustainable, regenerative, and resilient cities. We could call this ecomimicry, as it is based more on mimicking how local ecosystems work to transform the city itself into a “more natural” ecosystem, simultaneously releasing the pressure on “real” natural ecosystems, and reaching a balance between the built and non-built environment. There are no technical or regulatory barriers that we cannot overcome—as the very productive collaboration between the Bullitt Foundation / LBC teams and the Seattle city regulators, the Seattle Department of Planning and Development, and the Washington Department of Health and Seattle Public Utilities demonstrates. But there is a profound mind shift that has to be undertaken by the wider community of built-environment professionals—from architects and engineers, to city planners and regulators, to real estate developers and property owners—to design and (re)build cities that will be “Socially Just, Culturally Rich and Ecologically Restorative” [xv]. 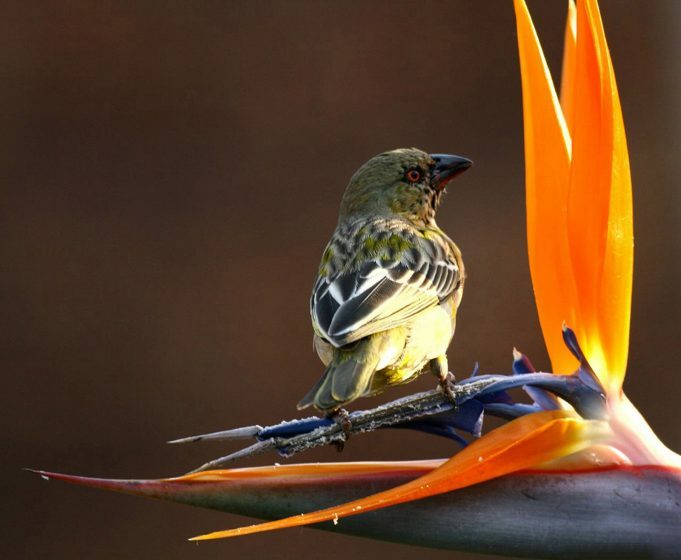 “Why Should an Urbanist Care About Biodiversity?” on TNOC. Olivier Scheffer is Deputy Managing Director at NOBATEK/INEF4, a board member of the French Committee of Biomimicry Europa, and a bio-inspired habitat adviser to the CEEBIOS.